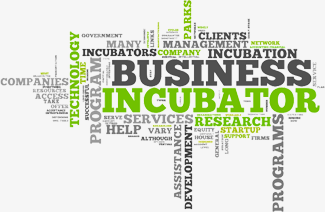 Gujarat Government incubating the incubators! This is the second article in the two article series covering the emerging support from the Gujarat Government for startups in the state. The earlier article can be viewed here – Vibrant Government and Amazing startups! The role of an energetic incubation system in the fostering of any startup ecosystem can hardly be undermined. One of the critical reasons why the Silicon Valley continues to throw up a string of surprises in the form of giving life to boldest of the ideas is the remarkable incubation and support system that has been cultivated there with virtually every successful startup founder turning back to give back to the system either through mentorships, connects or funds through a network of vigorous incubators. In India too, the Government is quickly acting to bring in the necessary support to incubators; private and public, to ensure more and more of those ideas see the day of the light through commercialization and growth. While in some cases, the governments itself are initiating startup incubators as in case of T-hub by the Government of Telangana whereas, in other cases, their interventions are targeted towards supporting incubators through a comprehensive policy mechanism with schemes and benefits. Power tariff subsidy at Rs. 1 per unit will also be extended as a support by the state government on the billed amount of utility for a period of 5 years from the incubator’s inception. With these benefits, effectively, the Gujarat government is taking a significant load off the incubators for their capital as well as recurring expenses for the initial gestation period so that they can focus on creating the necessary success stories in that period to achieve self-sustainability. World over, it is a well-known fact that 90% of the startups fail with the rest of the 10% creating windfall gains for their early investors to make up for the rest of the 90%. It is the same principle that will drive the sustainability of the incubators in the state too with the initial support of the government. And some of these incubators like IIC, Venture Studio, etc. in Gujarat are beginning to leave their mark on the startup ecosystem with this support. In fact, CIIE under IIM Ahmedabad is one of the oldest and most prominent startup incubators thriving in the state. Also, iCreate, an International Centre for Entrepreneurship and Technology is putting together a 40 acre campus wherein grooming, preparation and incubation support will be provided to startups over a period of 6 to 24 months. Close to 40 such incubators in Gujarat have either been approved or are being reviewed for being considered as the nodal institutions under the Startup policy of Gujarat. Some of these incubators are actively seeking support from the CSR funds of the corporates as a new practice as well. In the next few years, these incubators are expected to become the focal points of innovation in the state driving the cutting edge technological progress needed to constantly drive the engine of growth.